Go a long way with a 4000 mAh high-capacity battery in the new Galaxy C9 Pro. If it ever runs out of charge, the USB type C ensures that your device gets charged in a whiz. Set the pace with the new Galaxy C9 Pro. 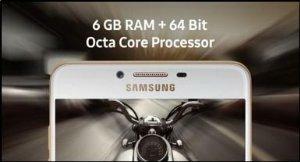 Powered by a ground-breaking 6 GB RAM and 1.95 GHz octa-core processor, the new Galaxy C9 Pro takes multitasking to the next level. Watch your favorite videos, download content, shuffle between apps do it all in a jiffy. Style comes redefined with the 15.24cm(6’’) FHD AMOLED Display on the new Galaxy C9 Pro. Experience your world come alive in its full splendor as you set off on your quest for the extraordinary. 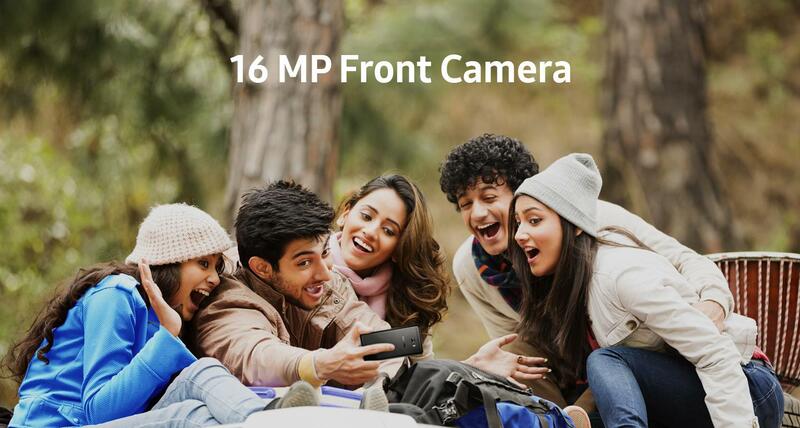 Explore your adventurous side with a brilliant 16 MP front camera in the new Galaxy C9 Pro. Your selfies and groupfies will be envied when you share it all. Sunset by the river, a walk in the rain or the beaming lights in the sky now capture everything sharper than ever with an equally brilliant 16 MP, F/1.9 rear camera with dual flash. Carry what is dear to your heart with a 64 GB internal memory in the new Galaxy C9 Pro. If that’s not enough, expand it to a massive 256 GB to make space for it all. The new Galaxy C9 Pro boasts of a look that turns heads. With its slim design and 2.5D gorilla glass, be ready to increase your followers every time you carry it.